BOL!!!!!!!! This is the best picture ever. Ewwwwww! Now that's love! BOL! Hardy Har Har Just Luvs Daddy :D Too funny! 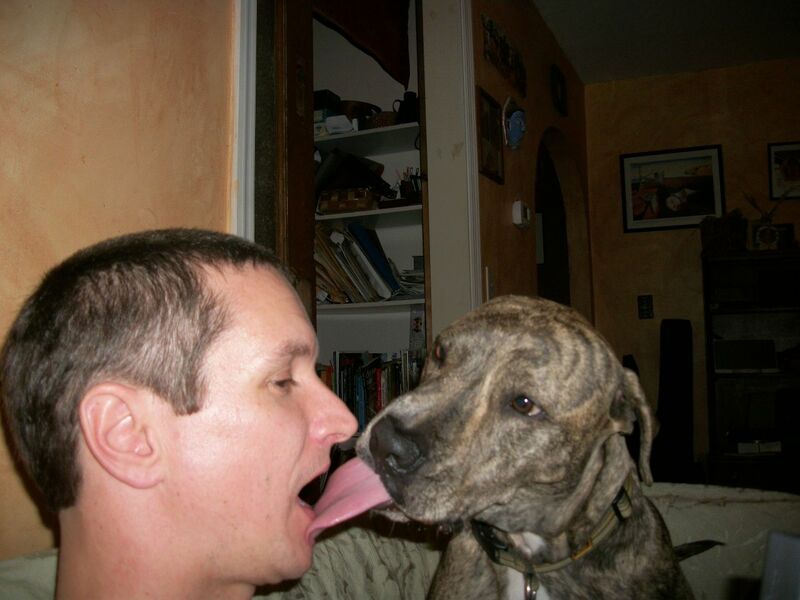 In the words of Lucy Van Pelt, "Uggh, I've been kissed by a dog. Get the iodine. Get the disinfectant." Make-out session! Madden slipped her tongue in my mouth and licked my tongue... I had to laugh even though it wasn't the morning kiss I was hoping for. Wow, that's a LONG tongue! Slurp! Lick! What a loving kiss! Love is grand! Who needs words? With a priceless photo!